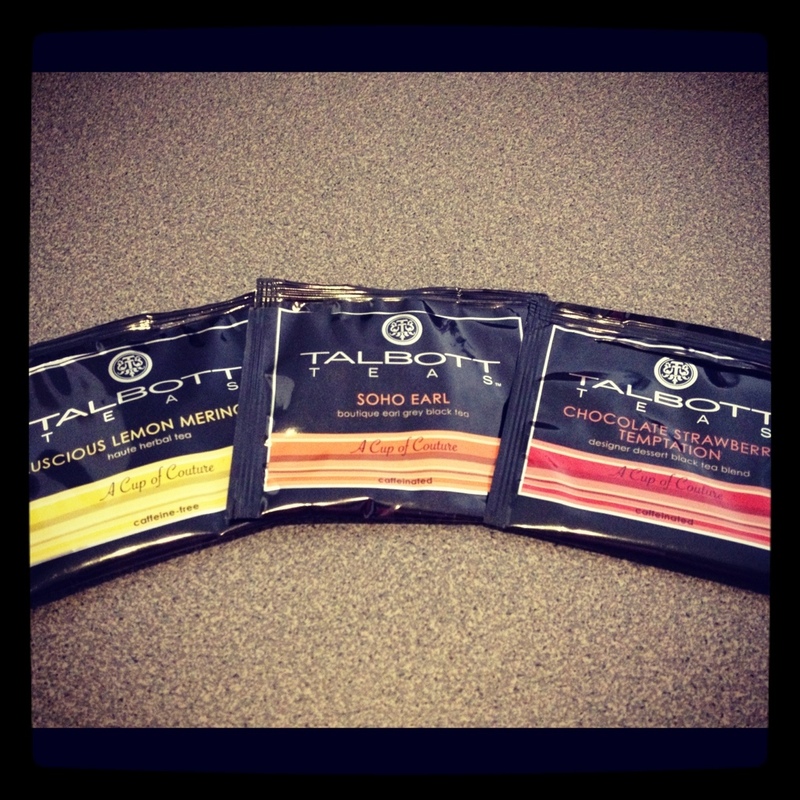 I recently tried the following tea sachets from Talbott Teas: Chocolate Strawberry Temptation, Luscious Lemon Meringue, and Soho Earl. Today I tried the Chocolate Strawberry Temptation over ice. I loved it! It had a very bold taste to it, and actually reminded me of an iced coffee. It had a nice chocolate covered strawberry taste. I also loved loved loved the Soho Earl over ice. It had a nice black tea taste with a slight floral bouquet. I tried the Luscious Lemon Meringue sachet as a hot tea and it was probably my least favorite as I felt like it did not have a lot of lemon taste to it. However, I was getting better from a cold at the time so it may have just been me and I would love to try it again over ice. One of my favorite things about Talbott Teas is their beautiful packaging. The tea sachets are wrapped in the most colorful couture packaging. They just bring a calm to my being looking at them. Love that you are back! Have you ever had David’s Tea? I picked up (quite a bit) in NYC this last summer. One was watermelon tea and I was a little leery, but love it!